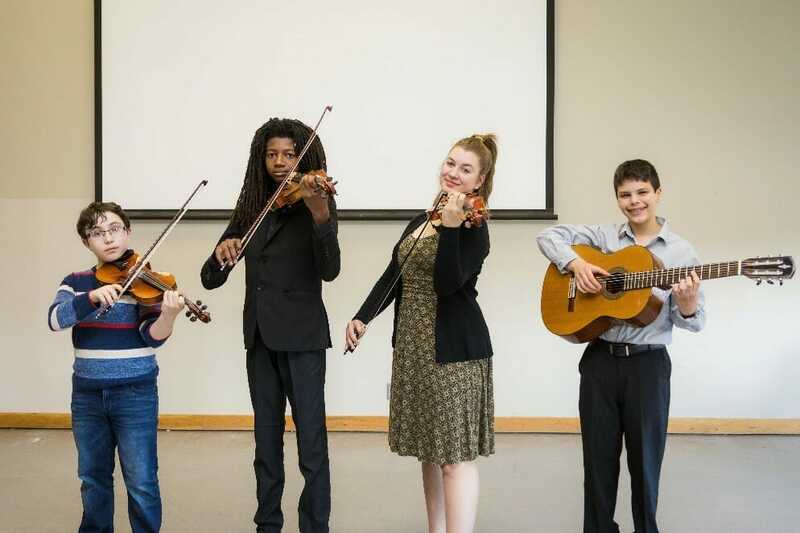 The competition celebrates the dedicated efforts of the students and their teachers, and supports middle school and high school strings students who are Staten Island residents. 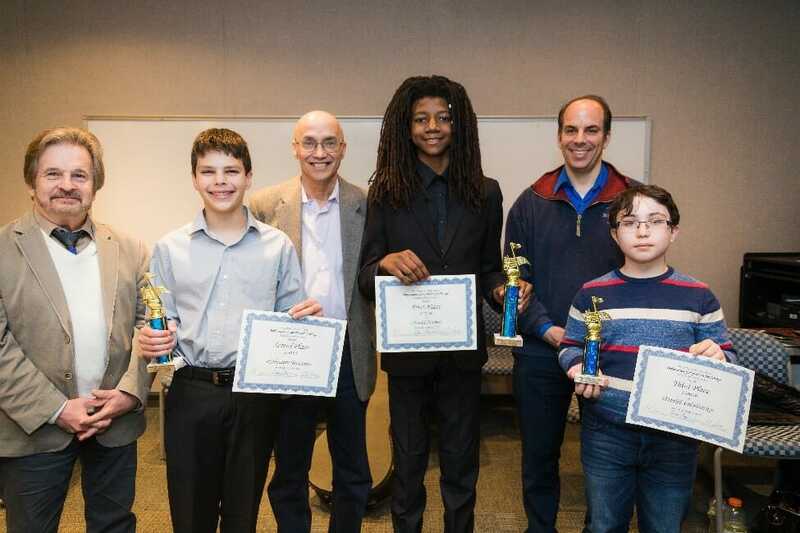 The adjudicators for this year’s competition were Dr. Dan Auerbach and Professor Edward Brown, both of the CSI Music Program of the Department of Performing and Creative Arts, and Maestro Alex Guzman of the Staten Island Philharmonic. The talented student-performers included Lila Bruschi, student of Roman Berlinsky; Anthony Tripodi, student of Steven Pepe; Daniel Volodarsky, student of Page Silverman and Michael Kolenisky; Noshi Norris, student of Amadi Azikiwe and David Burnett; and Salvatore Buscemi, student of Prof. Edward Brown from CSI. Noshi Norris, a 14-year-old violinist from Mark Twain IS 239, played Violin Concerto in C by Joseph Haydn; Salvatore Buscemi, a 12-year-old guitarist from MJ Petrides School, played Study in A Minor by Mateo Carcassi; Daniel Volodarsky, a 13-year old violinist from Elias Bernstein, played Ave Maria by Bach/Gounod & The Bee by Francois Schubert. The Frank and Lydia Bergen Foundation, The Music Program of the CSI Department of Performing and Creative Arts, the CSI Administration, and Strings & Other Things. The upcoming May 5 orchestra concert at 3:00pm in the Center for the Arts Springer Concert Hall at CSI will feature the middle school winner of the previous year’s competition performing Vivaldi’s A Minor Violin Concerto. In addition, the concert will feature CSI student soloists, as well as various classical favorites. The orchestra will be joined by professional musicians from the Richmond County Orchestra, who have both coached the kids during the semester and will perform with them side-by-side.